TVS Racing, the pioneers of two wheeler racing in India announced their team for Indian Baja 2017 – part of Dakar Challenge for 2018. The team’s star rider Aravind KP is back to racing post his Dakar participation and along with him is his Dakar teammate Adrien Metge from Sherco. Accompanying them will be the winner of Desert Storm 2017, R Nataraj and last year’s National Rally champion rider Abdul Wahid Tanveer. The 2 day rally kicks off on 8th April 2017 from Jaisalmer. The TVS Racing team will be riding on RTR 450 motorcycles specifically tuned to meet the rally route requirements. The 450cc power plant produces around 60 hp. Major focus is given to achieve ultra-light weight and minimize friction. The team has developed an engine with improved torque on entire rpm range. Modified port cross section, redesigned cam shaft, increased compression ratio and re-tuned ECM have helped to give better performance. Front and rear suspension has been extensively tuned for the riders in addition to thicker spokes in front and rear wheel assembly. We are thrilled to see our star rider Aravind KP back in the game along with Tanveer and Nataraj who are in top form. 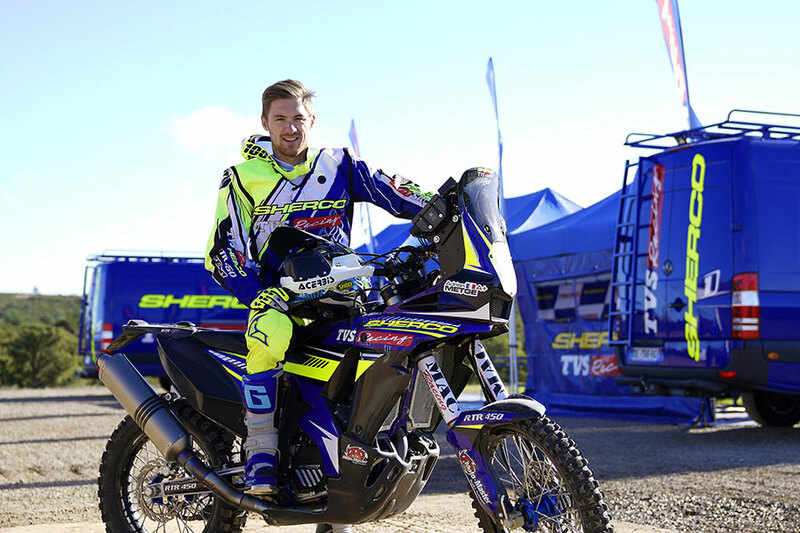 The addition of Adrien Metge from Sherco is a big boost to the team as he brings considerable experience to the table and our young racers will be inspired by his presence. Look forward to the challenge. We are happy that the event organizers have taken the rally raid to the next level so that it is now considered to be a part of the Dakar challenge. We expect the route and terrain to be challenging as per international standards and we look forward to the challenge. Each of the 4 riders in the team have their own strengths and bring varied experience with them. 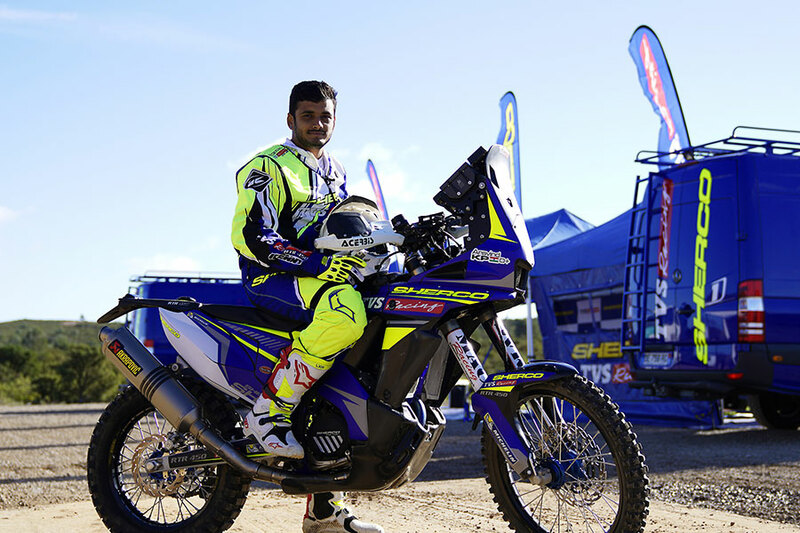 Aravind KP is the the first Indian rider for Sherco TVS Rally Factory team to participate at Dakar Rally 2017 and has won 17 championships in the domestic and international circuit. Adrien Metge has been the Brazilian Enduro and rally winner in 2014 and 2015. He stood 22nd at Dakar this year for the Sherco-TVS team. 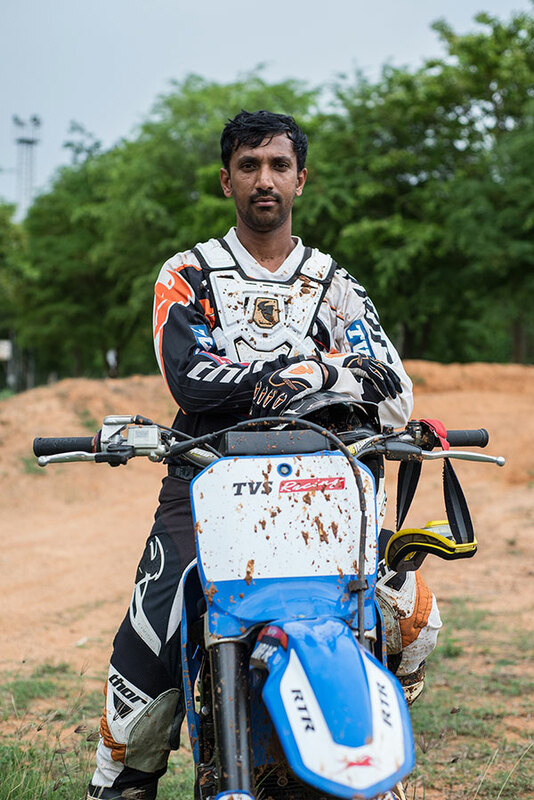 R Nataraj has won 8 National Championships so far in Dirt track, Rallies and Motocross racing. He also won Desert Storm earlier this year. 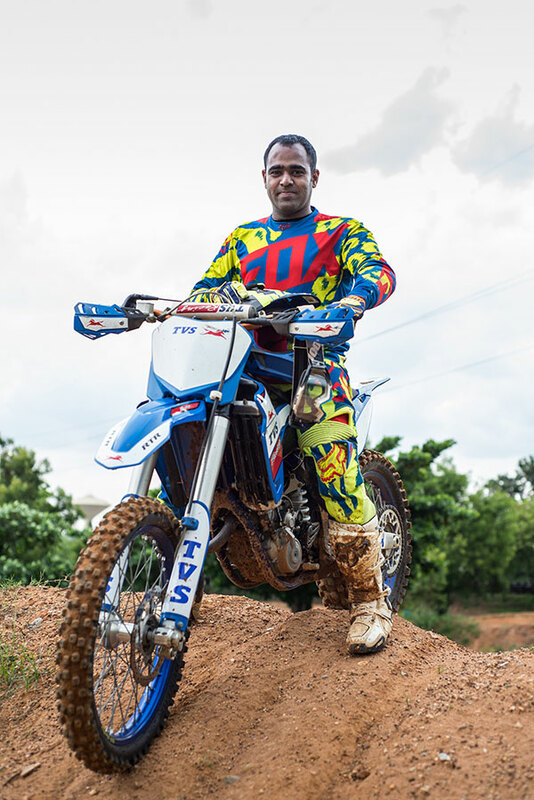 Abdul Wahid Tanveer has won 3 National Championships in Rally and Supercross. Tanveer was crowned champion in the National Supercross and National Rally 2016. He has also been awarded by FMSCI as supercross Champion in Group A category and Rally Champion in Superbike upto 600cc category. Indian Baja Rally, which is now in its second season, is all set to bring off-road racing’s biggest name to the country as the rally-raid has recently been nominated as the one of the Dakar Challenge event. With this rally, the winner of the rally raid will get an free opportunity to participate in the 2017 Merzouga Rally followed by the 40th edition of the Dakar in 2018.